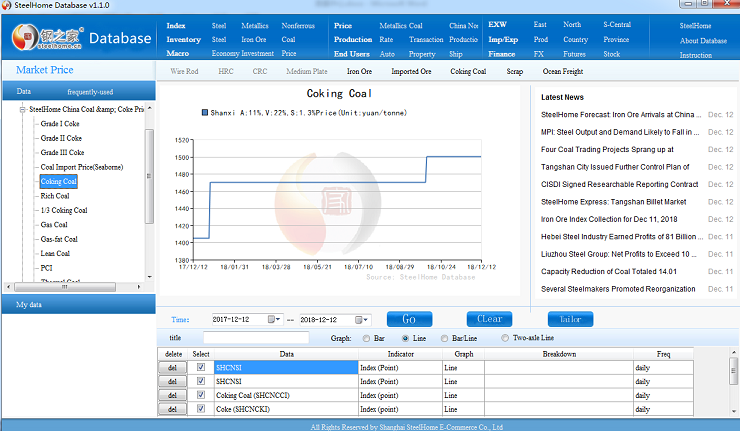 SteelHome Database is based on collection, generalization and organization of data on SteelHome Website. There are a total of nine modules, that is, price index, market price, ex-works price, market inventory, statistics of production and sales, Customs data, macro data, downstream industries and financial market. Clients are able to acquire timely, comprehensive, adequate and systematic data and all sorts of analytical results from SteelHome Database. They are also capable of obtaining customized data modules in accordance with their actual needs. 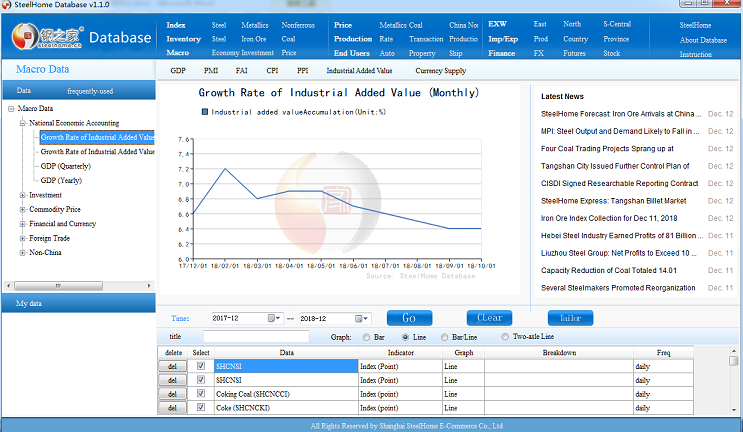 SteelHome Website is a pioneer in China, which issues steel price index and raw material price index and provides services for more than 80% of domestic steel mills, Shanghai Futures Exchange, Dalian Commodity Exchange, WSD, MB, Thomson Reuters, Bloomberg News and so forth. SteelHome Database adopts humanistic interface design and offers data customization functions, which improves working efficiency of users.